Hands up if you love beer! 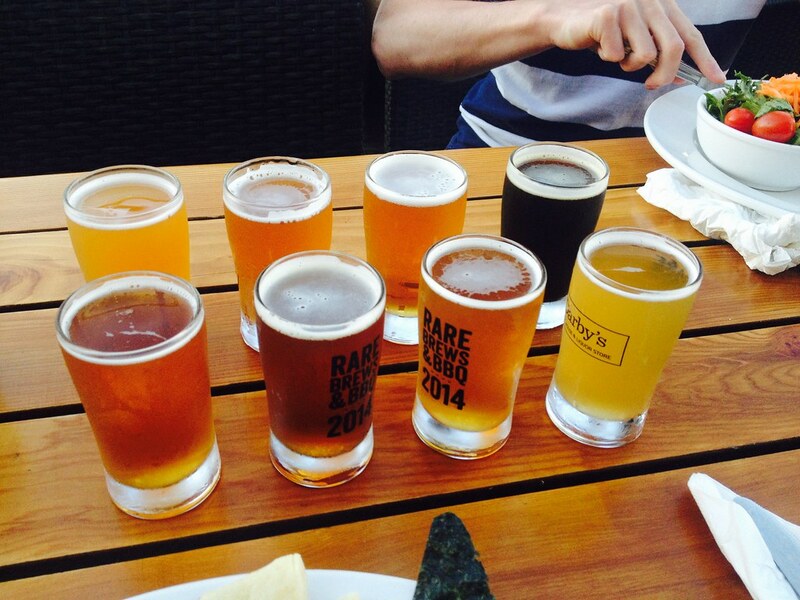 You may have noticed that Vancouverites love their beers and that Vancity is packed with small local breweries. So, what better way is there to get a little taste of the city than a BREWERY CRAWL?! This Saturday, August 8, we will be taking you around the heart of East Van to visit some beer and spirit breweries, get an insight into their brewing processes and their history – but most importantly to try their very own specialties! We will meet up at 15.00 at Powell Street and Commercial Drive. From here all breweries are easily reachable by foot. For now the plan is to visit six breweries, with an optional seventh. What will it cost you? Prices for tasting vary, but you can expect most of them to range between 7 and 10 dollars per tasting. For your own convenience, please make sure to bring some cash. For now, we are very excited and hope to see all you beer lovers on Saturday! 19+ only. Don’t forget to bring two pieces of ID! This Saturday, October 25, we’re going to experience a breathtaking flight simulation ride like no other. At FlyOver Canada you’ll get introduced to the great country of Canada in 30 minutes. You’ll first enter the pre-show which will give you an up close and personal view of Canada. And theeeeeen be prepared for the flight of your life. The film takes you on a thrilling journey from east to west across Canada. By special effects like wind, mist and scents combine with the ride movement you’ll get an incredible experience. You’re going to see some of Canada’s most spectacular locations while feeling the wind in your hair. The journey covers over 6000 kilometers from coast to coast. This unforgettable ultimate flying ride costs you $21 ( all taxes already included). So how does that sound to you? Excited to see Canada’s most beautiful places without leaving Vancouver? Join us for this event here. We’ll meet up this Saturday, October 25, at 4 pm at the FlyOver sign at Canada Place. Since you hopefully all survived the plenty of turkey this weekend, it’s time to prepare you for a big Halloween party. Only three more weeks left till this amazing event. 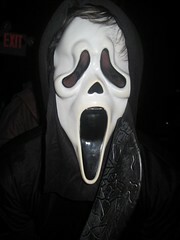 So let’s get ready for Halloween by shopping some crazy and fancy Halloween costumes next Saturday, October 18. At the BooLaLa you’ll be able to buy and also to rent costumes. So you don’t have to buy, if you don’t have enough space in your luggage left. But if I think about it….. it would be pretty cool to wear the costume while arriving back home and to scare your family and friends. UHAHAHAHA…..
We’ll meet up at 3 pm in front of BooLaLa on Saturday. 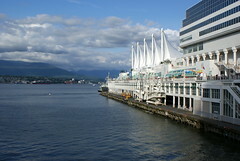 BooLaLa is located in North-Vancouver, only 11 minutes from the seabus station by foot. Click here for the map. North-Vancouver is part of zone 2, but no worries at the weekend and on weekdays after 6:30 pm you’re also able to go there with a zone 1 ticket. If you would like to have a look at the costumes BooLala offers, click here. Let’s get in a terrifying Halloween mood by shopping some costumes on Saturday. 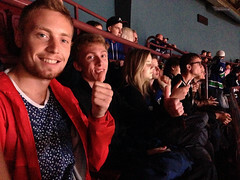 Last Saturday we had a great evening by watching a hockey game here in Vancouver. 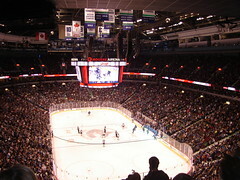 It was the last pre-season game this year and the Vancouver Canucks played against the Edmonton Oilers. After a few Minutes Vancouver did already the first goal and again after a few Minutes they did their second goal. So it seemed the game would be very one-sided and Vancouver would win for sure. But then the game turned and Edmonton did one goal as well by playing really not bad anymore. The game turned from one-sided into suspenseful and we followed the game passionately. The atmosphere was great, so even ,if you don’t like hockey, it’s a lot of fun. During the breaks they threw Canucks-shirts into the crowd, filmed people, who were dancing or did other funny things and played good music. 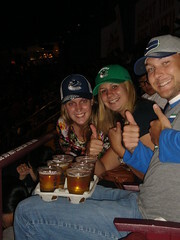 The audience did a la ola wave and cheered the Canucks on. Apart from the game there were so many things and people that entertained you…it was really not possible to get bored. At the end the Canucks won by three goals to two…YIHAAAA!! Since it was still early for a Saturday evening we went out to the Doolin’s Irish Pub to enjoy some more beers. See more pictures of the evening here. Hope all of you have a great start in this week and we see you on wednesday at the PuB Night. Join us for a great movie evening next Saturday here. Saturday, October 11th, will be a special evening. The International Film Festival is on, and of course that means movie time. We’ll be watching “The Two Faces of January”, which includes a pretty nice cast and an intelligent plot. 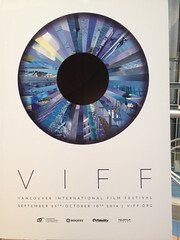 The movie is displayed in Vancity Theatre at 1181 Seymour Street. If I can’t get the tickets for 8:30pm we’ll watch the movie at 6:30pm instead. If you want to go with us watching this movie sign up here and we’ll reserve the tickets. But we’ll have to be fast, so that the tickets won’t be sold out. So, the deadline for signing up is Tuesday at 14:00pm. The price is 16$ which includes service fees. The money has to be payed in cash. You’ll get more information on the deadline for payment right after the sign-up deadline. Those who sign up first will be those who’ll be watching the movie. You can watch the trailer and get more details on the movie here. Looking forward to see you for a good movie. 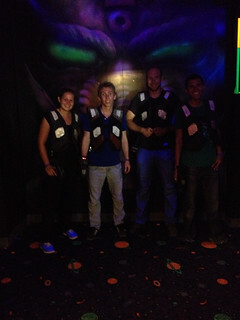 Saturday, September 13th, we’ll have a fun and thrilling evening playing laser tag! For those of you who don’t know this game… well, it’s quite simple. You’ll be equipped with a west and a special plastic gun. It’s all about shooting others while of course avoiding being shot yourself. And yes, it’s totally harmless, and it doesn’t hurt when you get hit. The price is 15$ per person for 2 games of 15 minutes each. The game starts at 4pm, so we’ll meet up at 4:40pm. And remember not to be late. Otherwise the empty spaces will be overtaken by other people. You’ll need to sign up for this event Wednesday, September 11th, at the very latest. In this way it will be easier for me to make a group reservation. You can sign up here. You won’t have to pay in advance, since we’ll be able to pay separately at the entrance. 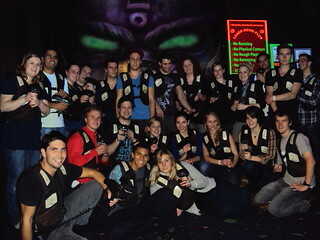 This cool event will take place at Laserdome, 2455 Dollarton Hwy #110 in North Vancouver. Looking forward to see you for some fun and action!